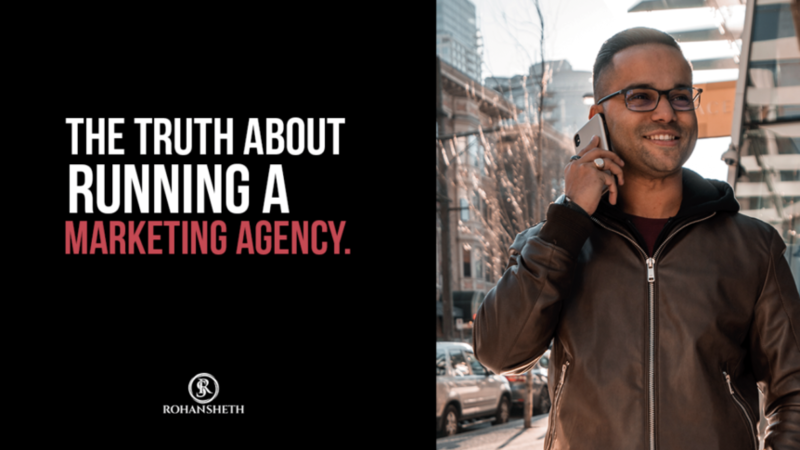 In this blog, I will share the things that a lot of people want to know about running a marketing agency. What is the easiest business model that you as a brand new entrepreneur can get yourself into? Whether you’re currently working a job, or going to school, whatever it is. At the end of the day, you need to figure out what is the number one thing that you can do for people? What is the number one thing that you have access to that is not going to cost you a lot of money? Do you know businesses that are in your neighborhood, that you communicate with or deal with on a weekly basis? You could literally provide them with a service to take them online. Businesses in today’s era are struggling because they don’t know how to market and get new clients or to get new customers. 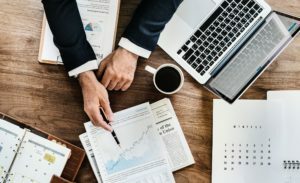 At the end of the day, no matter what business you look at, whether you’re looking at an agency, Shopify, Amazon, brick and mortar, corporations, there are so many different types of businesses that you can build. Of course, they’re all going to take a lot of effort. I’m not saying that you can build a $1 million a year business, and it’s not going to take any effort. Everything is going to take effort. Literally just staying consistent day over day, month over month, week over week, year over year will make it happen for you. What mistakes do people in marketing agencies make? People think that they can be in a business scaling to $10,000 in a month. Can you do that in 30 days? Have you done it 60 days? Then 90 days? It is super important to work for it in order to make it a reality. Are you looking for a rich quick scheme or something like that? Because that’s not the kind of stuff that will make you rich. It has never happened, and never will without your hard work. Period. The truth behind the agency model is that they are the easiest business model to start. 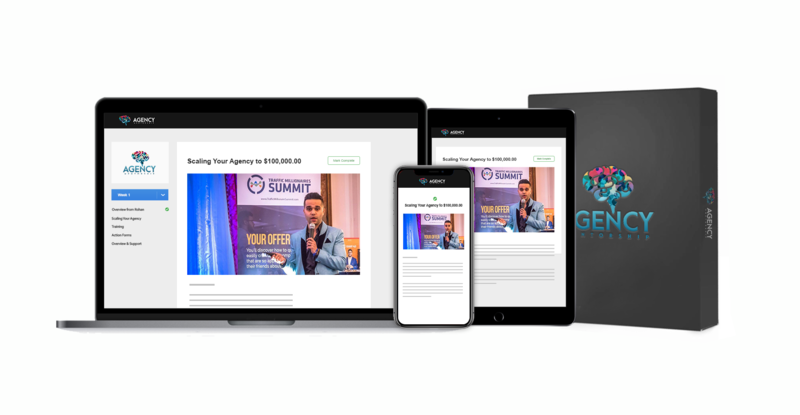 You can do social media for people, you could open up a copywriting service, you can do paid traffic, and also get involved in SEO. There are so many different digital agencies that you could start today BUT all it takes is sweat equity. When I first started, I didn’t get my first couple of clients, by running ads. I simply started knocking at businesses and provided them with value and that’s literally all I’ve done until now. What can you do to run a Successful Marketing Agency? Leveraging cold emails and using LinkedIn are the best ways to go about it in order for you to scale fast. There’s plenty of social media platforms that you can use to get those results and showcase your skills. That’s the kind of stuff for which I’ve been fortunate enough to teach in Tai Lopez’s program and been fortunate enough to teach it inside of my programs and a few other programs that I’m involved in. What is the least amount of resources you need to get into the business? MARKETING AGENCY. All you need is a laptop or even an iPad to get yourself going. But stop listening to the people who say you don’t have to put in any effort. They’re lying to you to try and get you to follow them without actually telling you the effort that it is going to take, is it going to get easier? 100%. It gets easier as you grow. There will still be challenges and new problems but things do get easier when you get some momentum. All you need is one client. You believe in yourself and you go get one client. Rinse and repeat that process. If you can get one, you can get 10. If you can get 10, you can get a hundred so just keep doing what it takes to get done.